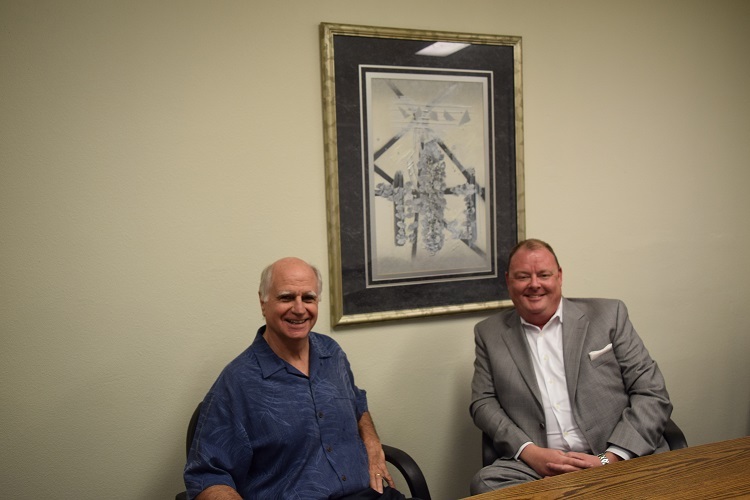 Check out this video with Jim Clifford of WRG and John Juge of Goldwater Bank. They are discussing a great loan program called Reverse Mortgage Loan. Check out this program and see if it can help you! Jim: Hi I’m Jim with Washington Realty Group. John: And I’m John Judge branch manager of Goldwater Bank in Lynnwood. Jim: And we’re going to talk about reverse mortgages today. And the problem with reverse mortgages as far as people outside of the industry are concerned, is that they are afraid of it. They’re afraid of what it does, that it can take the home away from them or they have all these misconceptions. So, we’re going to quickly today talk about some of the positives of reverse mortgage and hopefully get people interested in looking at reverse mortgage. Jim: So the biggest question that people have about reverse mortgage or the biggest fear, is that they’re going to lose their home. Why do you think that is? John: There’s a lot of misinformation out there right now Jim. And in the past reverse mortgages did have some provisions that weren’t very advantageous for the homeowner. But about five or six years ago HUD took over the program; so now there’s a government-sponsored program and they put protections in for the homeowner that alleviates, many of the fears and misconceptions that people have about the product right now. mortgage, usually it was the husband would have obtained the reverse mortgage without the wife on the note for whatever reason and then the wife would literally get kicked out of the house. Is this still happening? rights and full rights to the property until they’re no longer using the property. Jim: The other big issue that comes up on reverse mortgages and this, you’ll see families that are in a reverse mortgage the house isn’t maintained as well as it should be. Why do you think that happens? John: Well again we’re dealing with an aging demographic so the typical age of the person that gets reverse mortgage is about 72 and as you get into that age group, for various reasons people just aren’t able to keep up with the upkeep of their home. So it is important that there is communication between family members and in order to help the parents who have opted to live in their home and have gotten this product so that they can live in their home without making any payments but that they also help to maintain the home and help their parents on as they go through that process of living there. Jim: and that how they use the reverse mortgage as a benefit for them, why don’t you explain. John: Absolutely. So I think one of the most effective ways to communicate how good this product is through effective case study. In this case I had a client named Pauline who was retiring from government service, lived in Hawaii and she owned a home there, that she was able to get about three hundred fifty thousand dollars in equity out of, and wanted to move here, and purchase something. The downside is is that her government pension wasn’t very much. She was only getting about twenty five hundred dollars a month, which, anybody who was trying to buy anything in King county or one of the surrounding counties in Washington it’s pretty hard to afford anything on that kind of monthly income without putting significant amount money down. So I ran both scenarios for her as if she was going to get a regular mortgage, forward mortgage and a reverse and on the forward mortgage she would have needed to put down approximately two hundred and fifty thousand dollars she would have lost over two-thirds of what her net proceeds worth of the sale of that house in order to afford the payment on the property that she wanted to live in. But because she was able to get a reverse mortgage on that property, the down payment requirement as there was no payments that needed to be made on that property also you need to put down with the the minimum investment of about 30 percent, she was able to get into it for about eighty five ninety, thousand dollars down and not have any more payments for the rest of her life as long as she lives in the house; and banked that additional fund so that she could live her life in the life style that she wanted to. Jim: Now when you said no more payments one of the, in think one of the misconceptions of no more payments, the person who lives in the house still is responsible for the taxes and insurance. John: That is correct. so in her case she was buying in a senior living community there was a condominium so she was responsible for condo association dues, her property taxes and her individual homeowners insurance. So, and that is those are, those are responsibility of the homeowner and they have to pay on that themselves. Jim: Okay, well I think one of the big benefits of the reverse mortgage is and we talked about this before, is the fact that it is adaptable and so if you have situations most mortgages are hey this is a 30 year mortgage fixed you know come in this is the down payment options and buy a house as long as it qualifies to these specific requirements but the reverse mortgage has more adaptability to the needs of the individual. Jim: yes, um, yeah you’re in-laws, her parents. Why don’t you explain how they used theirs. John: You bet. So this is a situation where my in-laws, great people, getting older, both of them going through knee replacement surgery; they’re living in a split-level home that was built in the late 70s and my brother and sister-in-law are also living in the home with them and they just didn’t want them walking downstairs anymore. And so they had their daylight basement which was large enough. So what we did, is we got a reverse mortgage on the home, they only owed about $100,000 on the house, so after paying off the mortgage that they had currently, there, they got about another $160,000 out of the reverse mortgage and we use that money to remodel their basement into an into an additional living unit. So they have a kitchen and they have bathrooms and their own bedroom and the living room and that is exactly the way they wanted it. It’s all brand new inside and they love it and my brother and sister-in-law and their children live in the upstairs that they can provide assistance and help with the family and my my parents live downstairs and it’s a great scenario for them and they love it. Designated Broker at Washington Realty Group. Over 40 Years as a trusted real estate agent. Nationally recognized Broker with over 10,000 contracts negotiated. Let me help you find the right buyer, sell at the best price and sell in the time frame you need to meet your goals.